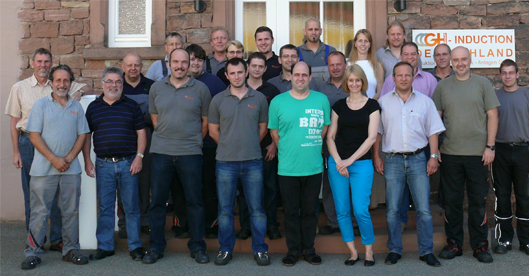 On Friday, 13 September 2013, GH-INDUCTION DEUTSCHLAND celebrated its 20th anniversary of business activity, twenty years at service of German customers. In the afternoon, the Managing Director, Mr Willy Siefert, received the guests and employees on the premises of the company in Hainbrunner Street, Hirschhorn. He looked back at the last 20 years. Mr Siefert reported on the company foundation by Messrs. González, Bissdorf and Gattermeier, being the beginning of a prosperous development, initially by sales- and service-activities. Thanks to the far-sightedness of the Management, a need for an independent planning, production and process-development was recognized at a very early stage. 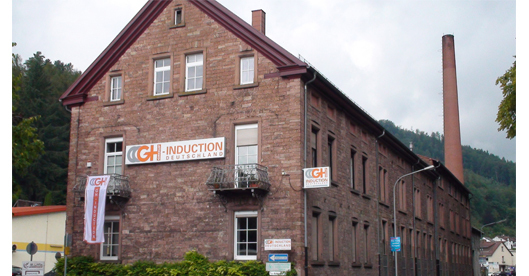 Thereby GH-INDUCTION DEUTSCHLAND was able to secure the business area, at first small-sized, and succeeded in winning more and more customers, also by new applications. The clientele was mainly extended in the automotive industry. heating and hardening was another essential step forward for securing the future of the company and its market position in Germany. Thanks to its current lineup with highly qualified staff and great commitment of all employees, GH-INDUCTION DEUTSCHLAND is well set for the near future, for customer needs in Germany and thus worldwide. GH-INDUCTION DEUTSCHLAND will pursue its customer focus policy and will successfully meet the challenge of the competitive situation.